Throwback Max World League Tees! 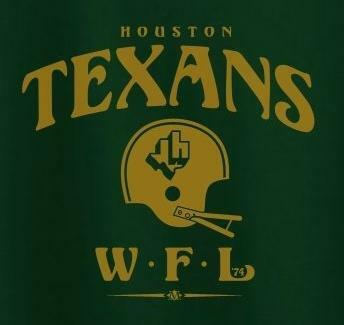 The WFL's 1970s run was so brief (1974-1975), it was practically a fantasy itself, which makes these team-repping tees and sweatshirts perfect to wear to your draft party. To get local with it, go with the Memphis Southmen (first pro stop for Cowboys QB Danny White), or the original Houston Texans, who despite constant drilling were never able to pass for Oilers.